The result of 40 years of conservative-leaning policies has undermined labor unions and favored banks and corporations over workers. If he had been alive today, when Mark Twain wrote in his autobiography, "It kept us hoping and hoping during 40 years, and forsook us at last," he could have been referring to these last 40 years of middle-class decline. The Gilded Age is a period roughly defined by the end of the Civil War in 1865 and the beginning of World War I in 1917 in the United States when the economy transformed itself and grew under the leadership of new tycoons; and when America's mercantile society had once again transformed itself under the impact of the nouveau riche -- the opportunistic industry leaders and speculative railroad promoters. They were once known as tycoons, moguls, magnates or robber barons. Today they call themselves CEOs. During the Gilded Age the super-rich industrialists and financiers such as John D. Rockefeller, Andrew W. Mellon, Andrew Carnegie, Henry Flagler, Henry H. Rogers, J.P. Morgan, and the Vanderbilt & Astor families were attacked as "robber barons" by critics, who believed they cheated to get their money -- and lorded it over the common people. John D. Rockefeller used his wartime profits from the Civil War to finance his investment in Samuel Andrews' oil refinery, which led to the creation of Standard Oil and his huge fortune. But Rockefeller was also an astute businessman who knew how to borrow money to finance promising projects. Most (Northern) businesses benefited from the Civil War's demand, so many considered this "war profiteering". Philip Danforth Armour more directly profited from the Civil War by selling pork "short" in New York City and made his first million in the process. Then he went to Chicago, where he built up a huge meat-packing house in partnership with his brother. In the 1980s, the Armour brothers brand was split between Pinnacle Foods and Smithfield Foods. The Armour brand for use in the pharmaceutical industry is owned by Forest Laboratories Inc. The Civil War allowed others to profit as well. The Pacific Railroad Act lay the ground for the first U.S. transcontinental railroad. The subsequent fortunes of the Thomas C. Durant and Ames, as well as the Pacific Quartet (Leland Stanford, Charles Crocker, C.P. Huntington and Mark Hopkins), were based on this monumental construction project. The Civil War caused the disruption of normal labor conditions during the war, in conjunction with the increased demand for food and clothing, which was directly responsible for the rise of the John McCormick harvester-reaper and the Singer sewing machines. Mining fortunes laid the foundation for California and the West Coast's economy and later radiated on the whole nation's economy, as the mining bonanza kings and their descendants invested their silver or copper profits in enterprises of national interest. George Hearst used his mining fortune to buy the San Francisco Examiner and gave it to his son to manage. Using the millions he inherited from his father, William Randolph Hearst later built one of the major tabloid newspaper chains in the Twentieth Century. After the outbreak of Civil War, Cornelius Vanderbilt left the steamship business, sold most of his ships to the Union Navy and started his career of a railroad tycoon. In a number of short campaigns, he acquired the New York & Harlem, the Hudson River and the New York Central railroads. In the process he built himself a fortune and became the richest man in the world. Other railroad tycoons made large fortunes in all regions of the United States, building other transcontinental roads, speculating on their stocks and bonds to eventually consolidate them in ever larger systems, spanning whole regions and driving towards a monopoly, which they never seemed to reach. Men like Jay Gould, Jim Fisk and Russell Sage became known as the archetypes of the robber barons, preying on their fellow citizens to extort their money in devious Wall Street speculations or corporate coups. J.Pierpont Morgan was another monument of the Gilded Age. This son of a wealthy merchant banker joined forces with the Drexels of Philadelphia in 1873 and Morgan became the peacemaker in the railroad wars of the 1880's, having gained the Vanderbilts' confidence. Drexel, Morgan & Company became J.P.Morgan & Company in 1893, the nation's premier investment bank. When John Pierpont Morgan created United States Steel in 1901, and became the first American corporation with a capitalization exceeding $1 billion, he wielded more power than any other American capitalist, or any other man in the World. His creations also included General Electric, International Harvester and the reorganization of American Telephone & Telegraph Company (AT&T). The Titanic was a ship of the International Mercantile Maritime trust, a corporation J.P. Morgan sponsored in 1902. The Gilded Age was also the age of the banker and J.P. Morgan was the greatest and most charismatic of the great investment bankers of his time, but he was in no means the only one, and he was also not the richest. The superlative among the bankers in terms of wealth fell to the Mellon brothers of Pittsburgh: Andrew William Mellon and Richard Beatty Mellon. They were major stockholders in the fabulously successful Gulf Oil corporation and the Aluminum Company of America (to become Alcoa). Their aggregate wealth exceeded $1 billion before the stock market crash of 1929. The Gilded Age also saw the rise of the great commercial banks, most of them located in New York. Moses Taylor built the City Bank. This, and the First National Bank of New York, merged to form the First National City Bank of New York, nowadays known as Citicorp. The Gilded Age also saw the establishment of Jewish banking houses in America. August Belmont was the agent of the Rothschilds in New York and in this position, one of the most influential Jewish bankers in America. But the largest and most influential American Jewish banking house was Kuhn, Loeb & Co of New York. Merchants evolved to superlatives in these times of rapid growth. The first of the great merchant princes was Alexander Turney Stewart, whose department store became a monument in New York City. In 1875, A.T. Stewart was the third richest man in America. Unlike Vanderbilt and Astor, Stewart had no children and therefore failed to found a dynasty. The A.T. Stewart department store was acquired by the Wanamakers of Philadelphia. Marshall Field built the largest department store in Chicago and became one of the richest Americans at the turn of the 20th century. Department stores rose in all major American cities such as Macy's in New York, controlled by the Straus family (not to be confused with Levi Strauss, the German-Jewish immigrant who founded the first company to manufacture blue jeans in 1953); Strawbridge & Clothier in Philadelphia; and many smaller ones. Frank Winfield Woolworth was the king of chain merchandising with his 5 & 10 cent stores. George Huntington Hartfort also built a very successful specialized chain with his Great Atlantic & Pacific Tea Company (A&P and Pathmark supermarkets). Another new retailing concept was mail order, the direct ancestor of nowadays e-commerce. Richard Warren Sears (Sears, Roebuck and Company) and Aaron Montgomery Ward were the successful pioneers in this field. But the Gilded Age was first of all the age of industry. During the second wave of industrial revolution, the small family manufacturers and mercantile partnerships gave way of ever larger industrial plants, financed and promoted by a new breed of capitalists. It was the age of the trusts, these nebulous legal creations, predecessors of the modern corporations, which so much scandalized the public by their strive to monopoly. The first and largest trust, sometimes called the "mother of trusts", was the Standard Oil company, whose main promoter, John Davison Rockefeller, later became the richest American ever -- and also one of the foremost philanthropists. The basis of the Standard Oil Trust was the secret association of the major oil refiners in Cleveland, Pittsburgh, Philadelphia and New York, to bring order to the anarchy, that prevailed in the Western Pennsylvania oil regions. Under the umbrella of Standard Oil, John Davison and William Rockefeller gathered the leading oil industrialists of their times. (By 1911, with public outcry at a climax, the Supreme Court of the United States ruled that Standard Oil must be dissolved under the Sherman Antitrust Act and split into 34 companies.) Standard Oil was so fabulously profitable after the trust agreement of 1882, that the major partners had millions to invest in other enterprises, which they eagerly did, such as in mining and the production of steel. The Vanderbilt family easily outdid all other wealthy families of the Gilded Age in their architectural aspirations, although the Du Ponts of Delaware later made it to a close second. Their favorite architect, Richard Morris Hunt, built the Vanderbilts no less than five castle-like mansions, including 660 Fifth Avenue, Idle Hour, Marble House, the Breakers (pictured below) and Biltmore, the largest of them all. A dozen other mansions rounded the set of Vanderbilt family seats, which had reputedly cost an aggregate of more than $100 million. Like the Livingstons (signers of the Declaration of Independence and the United States Constitution) did a hundred years earlier, the Vanderbilts built their social prominence on the stones of their lofty country estates. Commodore Cornelius Vanderbilt (1794-1877) established the family fortune in steamships and later in the New York Central Railroad, which was a pivotal development in the industrial growth of the nation during the late 19th century. 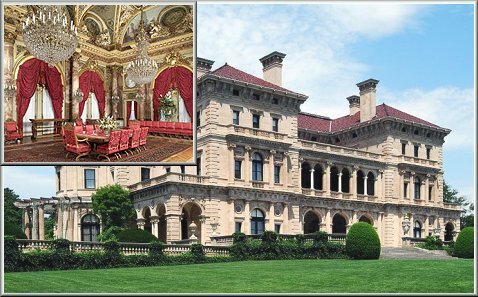 Below is his grandson's Rhode Island mansion The Breakers. Estate taxes eventually slowed the perpetuation of wealth in the hands of these founding families...but not very much today. The Du Pont family's mansions were all built in the countryside of Delaware and nearby Pennsylvania in an area which is known as the "American chateau country", nestled in the quiet Brandywine valley. Like the Vanderbilts and the Duponts, other wealthy families built their mansions preferably in the countryside close to their hometowns, in Newport or in Florida. The Gilded Age ended sometimes in the first third of the 20th century, Some cite the 15th of April 1912, the night when the ocean liner Titanic sank. Others mention World War I or the stock market crash of October 24, 1929. All these events certainly had an impact on the factors which put an end to the Age of Moguls in America. The Titanic disaster taught mankind that there were still limits to where it could go. World War I started a process in which the power of the federal government was increased against the power of the tycoons, a process which would be furthered by the depression which followed the stock market crash of 1929. A century later one might call this era in American history The Second Gilded Age. With the advent of modern banking, the advancement of computer technology, the outsourcing of American jobs, and the proliferation of American greed and corruption in politics over the last 40 years, we have seen the exact same inequality of wealth as we did during the original Gilded Age. 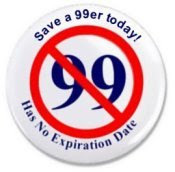 America's 99 percent are not just imagining it. The gap between the incomes of the rich and poor in this new Gilded Age is strikingly broad and deep, according to an October report from Congress' data crunchers. The study by the Congressional Budget Office, released this week, found that income has become dramatically concentrated, shifting heavily toward the top earners between 1979 and 2007. And although incomes at all levels have risen some, they've skyrocketed for the very wealthiest of earners. The top 1 percent is where the growth was breathtaking. That contingent saw their incomes spike by 275 percent. "It is really stunning the degree to which rewards have been concentrated at the top," said Josh Bivens, an economist at the Economic Policy Institute. "We have now returned to Gilded Age levels of inequality." The hoarding at the top was so great that even after accounting for taxes, the "income received by the 20 percent of the population with the highest income exceeded the after-tax income of the remaining 80 percent," the CBO found. This week's report is far from the first to point out rising income equality in the United States. Numerous studies have shown that America's very highest earners have been steadily pulling away from the rest of the population for a generation. Wages for the lower and middle classes have hardly moved for the last three decades -- a phenomenon that roughly coincides with the decline in union participation, as Think Progress noted. Paul Krugman, the Nobel-winning economist and left-leaning New York Times columnist, describes this phenomenon as the "Great Divergence." Today, the 400 richest people in the country control more wealth than the bottom 50 percent of households, and the U.S. ranks roughly alongside countries like Uganda in terms of the gap between its richest and poorest citizens. The CBO report noted that salaries for "superstars" -- top earners in sports, entertainment and the corporate world -- have jumped out of proportion to other workers' income. The report also noted that capital gains income has spiked much more than cash coming from interest, dividends or pensions. A big culprit is the deregulation of the finance industry. The CBO identified finance (banks) as a sector that saw some of the largest jumps in income. The year 2007 has a lot in common with another notable year: 1929. Besides the similar spikes in glaring income inequality, both years marked the beginning of one of the worst economic downturns in United States history. According to the International Monetary Fund, the pronounced degree of inequality today is likely holding back the economic recovery -- thereby prolonging the misery for millions of Americans who are out of work and the record 46.2 million who are currently living in poverty. The gap separating the richest 1 percent from the rest of the country has emerged as arguably the single most prominent rallying cry of the Occupy Wall Street movement, which began last month on September 17th in New York City's Zuccotti Park and has since expanded to hundreds of protests around the country and sister demonstrations across six continents. And there's another coincidence that Occupy Wall Street and the 99 percenters might point out: It was the collapse of the Gilded Age that preceded many of the successes of the labor movement and the Progressive Movement. What really put an end to the original Gilded Age (The Age of the Moguls), was the introduction of income and estate taxes during the Wilson administration. Corporate and income taxes rendered wealth accumulation slower and more difficult, whereas the estate taxes prevented the perpetuation of wealth in the hands of the founding families. It allowed for an American middle-class in the 1940's, 50's and 60's, but which has steadfastly eroded over the last 40 years -- about the same time taxes for the wealthy declined as labor unions came under attack as wages stagnated. Now we're trying to fix this disparity in wealth by fairly taxing the wealthy; but because of the Republican Party (widely known to favor the wealthy and large corporations), and because of money and corruption in politics, it's proven to be very difficult to do. Mark Twain and Charles Dudley Warner wrote a novel in 1873 called "The Gilded Age: A Tale of Today", which satirizes greed and political corruption in post-Civil War America. Its title very quickly became synonymous with graft, materialism, and corruption in public life. In one preface to the novel Mark Twain writes, "We have also touched upon one sad feature...that is the shameful corruption which lately crept into our politics, and in a handful of years has spread until the pollution has affected some portion of every State and every Territory in the Union." 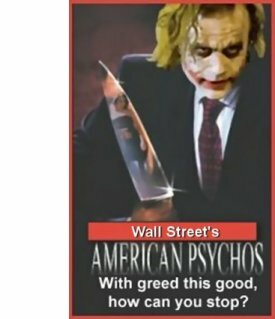 There is currently a petition to end unlimited money going to SuperPacs to bribe elected politicians, those who only represent the interests of very wealthy people (like the Koch brothers), banks (like Goldman Sachs and Bank of America), and corporations (like Exxon Mobil), instead of the interests on THE PEOPLE. Only when corporations and banks can be reigned in and properly taxed and regulated, can THE PEOPLE (here, and around the world) take back their country and restore (or create) a middle-class. Just like the during Roaring Twenties before the stock market crash of 1929 and the subsequent Great Depression of the 1930's, the deregulation of banks made possible by Republican sponsored legislation, allowed the banks to sell derivatives that caused the housing collapse in 2008. The banks, who made easy money spawned by greed and excess, and the low taxes on large corporations and the uber-wealthy (during the Bush tax cuts years), fueled the Second Gilded Age, and caused the budget crisis, unemployment, and the Second Great Depression. What ended the Gilded Age was better taxation of income, corporations, and wealthy estates. It once allowed for an American middle-class, which has steadfastly eroded, as did taxes on the rich, over the last 40 years. I suspect the same thing is needed again to end this Second Gilded Age...taxing the rich more and more fairly redistributing the wealth. But we'll never have that with the Republicans. Amid a flurry of counter-proposals from the new deficit-reduction "super-committee" , House Speaker John Boehner (R-Ohio) on Thursday rejected a Democratic offer to slash $3 trillion from future debts (cutting as much as $500 billion from Medicare, Medicaid and other health programs) because it contained $1.3 trillion in tax increases. Republicans, instead, have offered $2 trillion in savings over 10 years, highlighted by nearly $700 billion in spending reductions to Medicare and Medicaid. It included an offer of more than $600 billion in savings from new tax revenue. If the super-committee fails on an agreement, across-the-board reductions will be triggered in January 2013. I would propose $2 trillion ix tax increases an NO cuts to social programs, but instead look for corporate fraud in Medicare. Delaware Attorney General Beau Biden sued a private national mortgage registry on Thursday, citing a slew of deceptive trade practices that prevent homeowners from effectively fighting off foreclosure. The lawsuit in state court alleges that Mortgage Electronic Registration Systems Inc. deceived borrowers by knowingly obscuring important information, acting as an agent of the true owners of mortgage loans without authority, and failing to properly oversee the registry or enforce its own rules for foreclosure proceedings. Major mortgage industry players -- including Bank of America, Wells Fargo, Fannie Mae and Freddie Mac -- formed MERS in 1995 to bypass county records offices and facilitate the then-booming mortgage-backed securities market. That market's collapse helped bring about the 2008 Wall Street meltdown that sparked the Great Recession.